People who have had a stroke, often suffer motor deficits with little potential to restore neurological function. 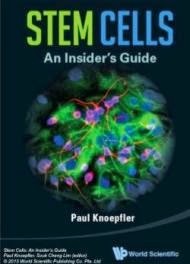 However, a new study conducted in Taiwan, has found that when one group of stroke victims had their own peripheral blood stem cells (PBSCs) injected directly into the brain and a similar group did not, those who received the PBSCs experienced some "improvement in stroke scales and functional outcome." Those in the PBSC-injected group also received injections of the growth factor granulocyte-colony stimulating factor (G-CSF), known to be potentially neuroprotective. "In this phase 2 study, we provide the first evidence that intracerebral injection of autologous (self-donated) PBSCs can improve motor function in those who have suffered a stroke and have motor deficits as a result. Our study demonstrated that this therapeutic strategy was feasible and safe in stroke patients who suffered a prior stroke, but within five years from the onset of symptoms." said corresponding author, Dr. Woei-Cheng Shyu of the Center for Neuropsychiatry, Graduate Institute of Immunology and Translational Medicine Research Center, China Medical University in Taiwan. According to the authors, there has been little advance made in restoring neurological function following ischemic stroke. However, since neuronal death is the primary mechanism that limits functional recovery, stem cell therapy is emerging as a potentially effective regenerative approach. Once more PBSCs are being increasingly used as a self-donated source for cell therapies for regenerating skeletal muscle, heart and neurons. The PBSCs may need to be "amplified" with G-CSF, speculated the researchers. 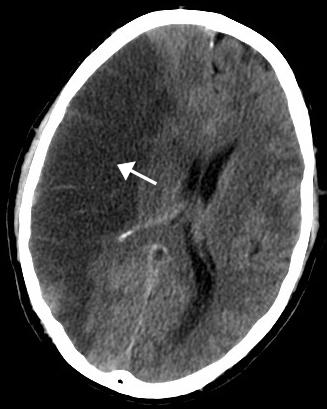 All of the patients in the trial had suffered a stroke in the past, as long as five years prior to this study. At the end of a 12 month follow-up, the group of 15 patients with neurological deficits who received injections of PBSCs experienced neurological and functional improvement based on a number of clinical outcomes measures. The control group of 15 patients with neurological deficits that did not receive the PBSC injections did not experience the same beneficial outcomes. The researchers reported that nine of the 15 patients undergoing PBSC transplantation experienced "positive motor evoked potentials" (MEPs) after transcranial magnetic stimulation, but why MEPs appeared in some of the transplanted group, but not all, was unclear. "Despite this success, it should be noted that this was a preliminary study and, due to the small number of patients, are tentative. In the future we plan to conduct a multi-center, large-scale, double blind, placebo-controlled randomized studies to better evaluate the effect of PBSC implantation in patients suffering from the effects of past stroke." concluded the researchers. "This phase II study offers pilot clinical evidence supporting the use of autologous stem cell-based treatment for stroke. Clarification of the impact of G-CSF on the cells and whether other factors are necessary to maximize the benefit of cell transplantation, as well as further studies with a larger number of patients are necessary to determine equivocal safety and efficacy of this treatment" said Dr. Cesar V. Borlongan, Prof. of Neurosurgery and Director of the Center of Excellence for Aging & Brain Repair at the University of South Florida.